The first and easiest step to becoming a vocabulary master is to read more. The more you read, the more likely it is that you'll encounter new words for you, which is the first step in the right direction in your quest to a wider vocabulary. You can find unknown words all you want, but unless you learn their meaning, they won't be able to make it into your regular lexicon. To ensure they do, use the dictionary to read their definitions and understand how they should be employed. The next step to make sure your vocabulary increases, is to actually make use of the words you learned. To that end, it's recommended that you write often to practice your new vocabulary. Another way to work on your word collection is to talk to people. As you do, pay attention to any unknown words they may use. Also, take this chance to practice your own new vocabulary. Lastly, if you want to have fun while you learn new words, why not play some games? 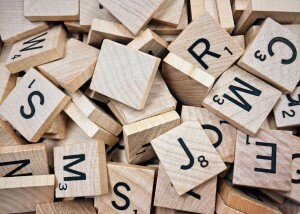 Some games, such as Scrabble, crossword puzzles, and even some apps, will help you build up your vocabulary in an entertaining manner. Call The Tutoring Center, The Woodlands TX at (281) 602-3839 to become a better learner over summer break with tutoring in The Woodlands TX.